NPR Board Faces Tough Questions Over Sexual Harassment Handling : The Two-Way NPR's senior management and board members faced skepticism as they sought to rebuild trust with the network's workforce. Some comments appear to have stoked fresh anger from staffers. NPR's senior management and board members faced skepticism as they sought to rebuild trust with the network's workforce following the release of a report on the network's failure to curb inappropriate behavior by former top news executive Michael Oreskes. On Thursday, NPR board members faced tough questions from NPR employees at an open Board of Directors meeting and then a tense all-staff meeting. Senior management is seeking to reassure staff that it is tackling NPR's workplace culture issues. At the board meeting, CEO Jarl Mohn described the tumultuous past few months as "humiliating and humbling, because it happened on my watch." "I wish I had seen the pattern earlier," he added, expressing a wish that the changes being made could "set the standard" for public media and other industries. An independent legal review of the way senior managers handled allegations against Oreskes, released to staff earlier this week, revealed that leadership repeatedly received information about inappropriate behavior. That included a warning about Oreskes during the hiring process, and concerns raised throughout his time at NPR. Oreskes repeatedly pursued "conversations and dinner meetings with women inside and outside of NPR that were inappropriate and served a nonbusiness purpose," according to the report. He also repeatedly expensed these meals to NPR. The NPR board stated Thursday that it has full confidence in Mohn and his team. It also agreed to implement recommendations from the law firm, such as conducting background checks during hiring and retaining an outside firm to look into sexual harassment complaints for "some period going forward." NPR had already committed to some of the recommendations, such as conducting a pay equity study and clarifying its complaint process for harassment. The board also said it will be more actively involved in HR matters and has changed the management structure so that the head of HR reports to the CEO rather than its chief operating officer. But the network's executives face a tough sell among some staffers in its newsroom. "I want to believe that they are committed to fixing the problem. I believe that there are lot of people here who are committed to fixing the problem," said Alicia Montgomery, senior supervising editor/producer for Morning Edition. However, she added, "I'm not sure that the people in leadership are more committed to solving the problem than committed to ending the public and embarrassing conversation about it." Montgomery said she wants to see accountability for those responsible for "mistakes that hurt people, that hurt women." She added, "No one has been fired or demoted, reassigned, who was involved in this chain of — if you want to call them mistakes that's fine — [and that] does not speak to me of being held accountable." The report by the law firm Morgan Lewis adds further detail to previously reported incidents of Oreskes' misconduct and how management handled those reports. Grace Speights, a Morgan Lewis attorney, told the all-staff meeting that investigators did not find any evidence management had attempted to protect Oreskes or cover up his actions, according to three people in the room. This reporter did not attend the meeting as it was designated off the record. For many staffers, the report raised major questions about the sheer number of chances senior managers gave Oreskes to alter his behavior, despite the fact that the attempts to counsel him were, according to the report, "unsuccessful." Morgan Lewis identified seven occasions where Oreskes met with General Counsel Jon Hart, Mohn, or CFO Debbie Cowan to speak about concerns over his behavior — a striking detail that multiple staffers brought up during Thursday's public comment session to the board. "I think in order to really address this problem we have to take a look at that culture that feels like the higher up you go in this organization, the more protection you have," Emily Ochsenschlager, a Morning Edition producer, told board members. 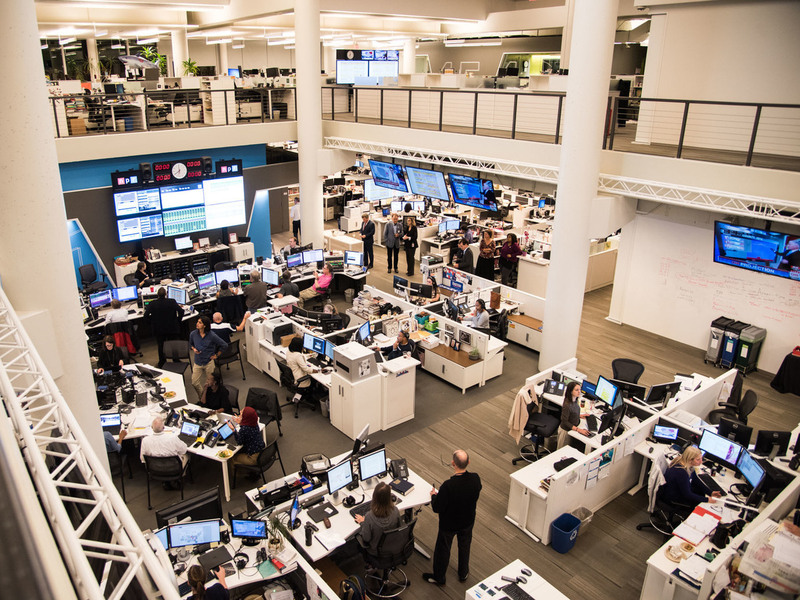 Some staffers questioned whether NPR management is doing enough to address what they see as the root causes of sexual harassment. The all-staff meeting Thursday appeared to do little to assuage those concerns. NPR Board Chairman Paul Haaga stated at the meeting that NPR does not have a culture of sexual harassment, but individual offenders, according to multiple meeting attendees. That was met with boos and scoffs — and Haaga later in the meeting apologized, saying that he had chosen his words poorly. He declined to commit to a zero tolerance policy on harassment, calling that "harsh," according to the attendees. Staff already had a "very prominent distrust" of management, the independent report found. And in some NPR journalists, Haaga's comments appear to have stoked fresh anger. "His language is different than our language. I don't feel like he's working with the same definitions that we are," said home page editor Carol Ritchie after the meeting. Oreskes was forced to resign on Nov. 1, and NPR leadership has encouraged people who were subjected to inappropriate behavior to come forward. At least three women filed sexual harassment complaints against NPR's former chief news editor, David Sweeney, and he left the company in late November. Multiple complaints were also raised against former investigative correspondent Danny Zwerdling, and he left NPR in early February. As the report states, some employees are concerned about what they see as a lack of transparency from management about the reasons behind both departures. NPR executives have told staffers they recognize their frustration but need to protect the confidentiality of all parties in the process, including those accused, to ensure that people are willing to file complaints with the company. "We have clearly compromised the trust of our employees in a number of ways," Haaga told board members. "The real work is just beginning. ... We don't think we will regain trust in minutes, we will regain it over years, so watch this space." NPR's David Folkenflik contributed to this report. Disclosure: NPR's Merrit Kennedy reported this story under the guidance of Deputy Managing Editor Jim Kane. Under standard procedures for reporting on NPR matters, NPR's corporate and news executives were not allowed to review what they reported until it was posted. No editors or reporters involved in this story attended any private NPR staff meetings related to the subject.